Because you didn’t see this coming when the Supreme Court made their decision about gay marriage? Now some Democrats in Congress want to remove the words ‘husband’ and ‘wife’ from federal law. 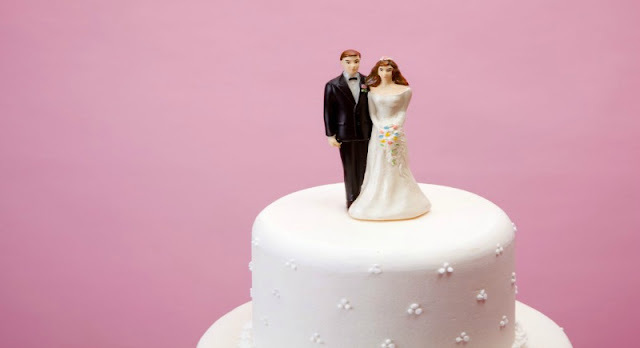 A couple of dozen Democrats, apparently lacking a basic understanding of the pressing problems facing this great country, have banded together to propose legislation that would eliminate the words “husband” and “wife” from federal law. Those “gendered” words would be replaced with gender-neutral language that doesn’t offend either Perez Hilton or Caitlyn Jenner. The bill, from Rep. Lois Capps (D-generate) is called The Amend the Code for Marriage Equality Act (ACME?). It’s an attempt to codify political correctness during a time when the balancing the budget is just a little too hard. According to Democrats all you husbands and wives out there now reflect prejudice and discrimination. You will all now become part of the gender neutral Borg collective. You will obey. This is part of the slippery slope that has already happened in countries like Canada where gay marriage was legalized a while ago. Will it be considered hate speech if a man and woman dare have ‘husband and wife’ on a wedding invitation? Guess what’s next? Your parental rights.